Whether you’re considering minor roof repairs or a roof replacement, finding the right flat roofing company is essential because it requires a substantial investment of funds as well as time. Locating an expert who has the skills and expertise required to do a quality job will ensure the integrity of your roof. As a professional flat roof contractor, we are here to help you. It is crucial to know essential details about the roofing company you are considering working with, which is why conducting your research is necessary. It is wise to browse through the customer testimonials shared on their website to get an idea of their previous work. It also helps to review reliable third-party sources for ratings such as HomeStars. Make sure that the roofing company is legitimate by checking out the physical location out of which they operate. This will add to their credibility. Ideally, flat roof contractors must have two types of insurance, namely, Workers’ Compensation and General Liability. This will help protect your home and their crew if any accidents occur while working on your roof. 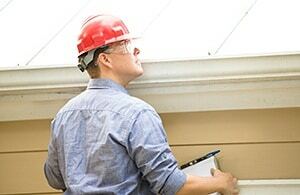 It is necessary to review the terms and conditions of the roofing warranty and understand the coverage it offers. Look for a comprehensive warranty that is transferable, in case you decide to sell your home in the future. Professionals will always care about their reputation and satisfaction of their clients. They will take immense care to complete a task on time and without any mishaps. Beware of those roofers who go door-to-door, uninvited, offering their services, and do not get tempted by the discounts they may offer. Since replacing or repairing a roof is a significant undertaking, you must choose a trustworthy and experienced professional roofer. A detailed schedule and timeline your roofing company will follow, so you know how long the repair or replacement will take. Details about the work they intend to do, the type of materials and underlayment they are planning to use, and what aspects of the roof they are considering replacing. All information about payment including the acceptable methods, the details about the amount and time of deposit, and conditions of terminating the contract, so you know when and how much to pay. Integrity Roofers is a leading commercial flat roof replacement and repair company in Toronto. We provide excellent and reliable roofing services to ensure your roof is ready to stand up to even extreme weather conditions. Our licensed, certified, and knowledgeable roofing contractors can offer accurate solutions for all sorts of problems. For more information about our Toronto roofers and the services we offer, talk to our specialists by calling 647-953-9365 or fill out our online form to get a free estimate. You could also check out the reviews and ratings on HomeStars to learn more about us.